Mr. Nudelman concentrates his practice in construction law and the representation of members of the construction industry across a broad range of matters. His clients include owners, contractors, design professionals, subcontractors and suppliers involved in public and private construction projects throughout New Jersey. Mr. Nudelman provides counsel on a variety of business disputes, including claims for breach of contract, negligence, professional malpractice, municipal mechanic’s and construction lien foreclosure, surety bond claims and Consumer Fraud Act violations. He has also represented clients who receive notice of regulatory violations lodged by enforcement officials under the New Jersey Uniform Construction Code Act. These proceedings, often predicated by alleged construction code violations may be prosecuted in Municipal Court, the Construction Board of Appeals or the Office of Administrative Law, depending on the facts and circumstances. 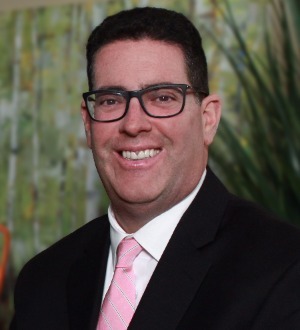 Mr. Nudelman has experience representing clients in all three venues. In addition, Mr. Nudelman has appeared on behalf of clients in state, federal and appellate courts and in local and international construction and commercial arbitrations. He also assists construction clients with contract negotiations and drafting, with an emphasis on efficiency and practical results. Mr. Nudelman also has experience in real estate litigation, with a particular focus on title defense. He has represented owners and lenders in title insurance claims and has prosecuted and defended quiet title actions and cases involving trespass, easements, boundary disputes, adverse possession, equitable subrogation and title defects.